These adorable “bobble head” hippos are crafted from natural gourds by physically disabled artisans in a group called Unite Wend Sondge (“God Will Help You”) in Burkina Faso at Village Artisanal Ouagadougou (VAO). Ouagadougou is the capital of this landlocked country in West Africa. 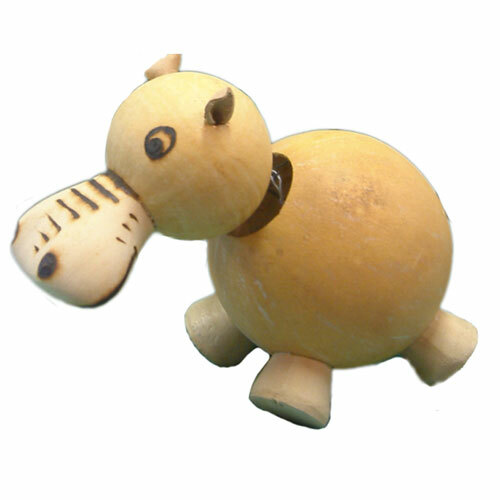 Each animal consists of a combination of gourds and balsa wood with burned in patterns. The animal heads “bobble” when touched since they are connected to the body with a small hook and a metal weight.